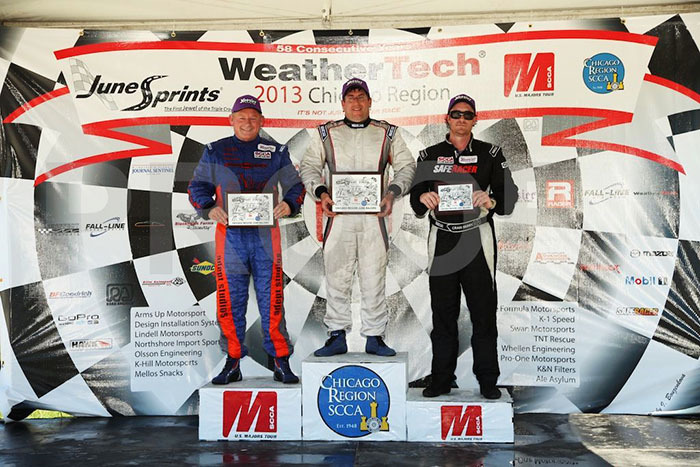 Home / Years / 2013 / Steyn qualifies on pole for 2013 June Sprints and gets taken out while leading the last lap. 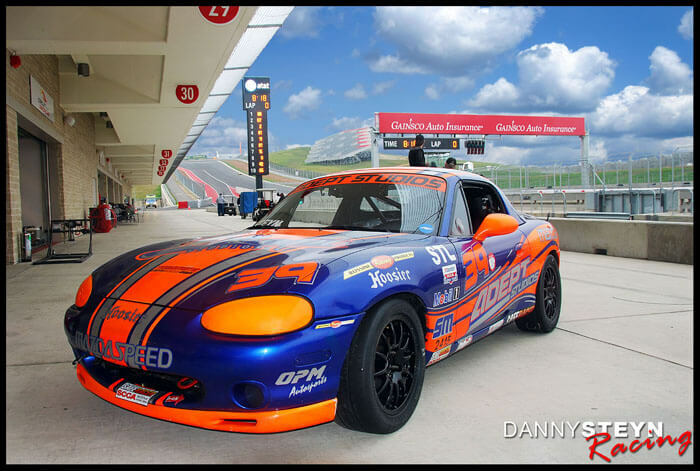 Danny Steyn’s OPM built Spec Miata rolled off the trailer at Road America ready for battle. 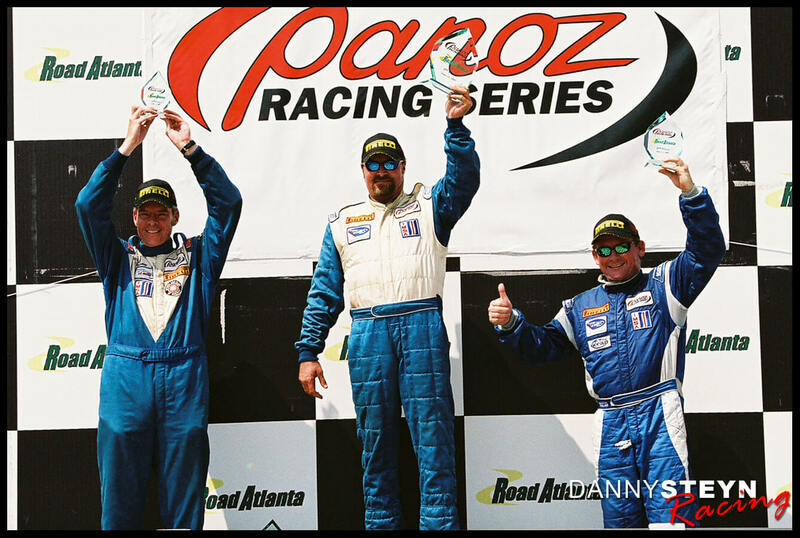 The June Sprints is one of the most prestigious events in the SCCA calendar, and this year it would be part of the SCCA Majors Championship and a double header to boot. Steyn won a rain soaked June Sprints back in 2010 and was anxious to repeat. In both qualifying sessions, Steyn was able to work with the East Street drivers Craig Berry and Eric Stearns and nailed down the pole on both qualifying sessions. In Race 1, Steyn got through Turn1 in the lead and was able to open up a sizeable lead in the first lap as the field behind him went through the corners two-by-two. Steyn held his lead for the first three laps until the pack behind started working together and reeled him in. Steyn slotted into 3rd place behind Berry and Stearns, with Drago Burdzy, and Brown in the lead pack. 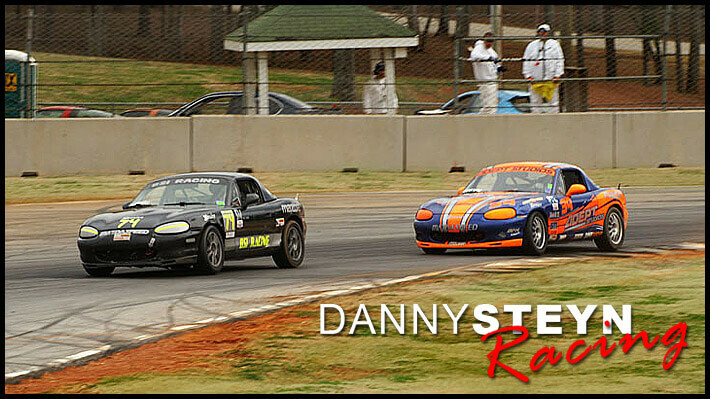 Then Steyn got knocked off track in Turn 13 after contact with Stearns but was able to resume and rejoin the race in 6th place. 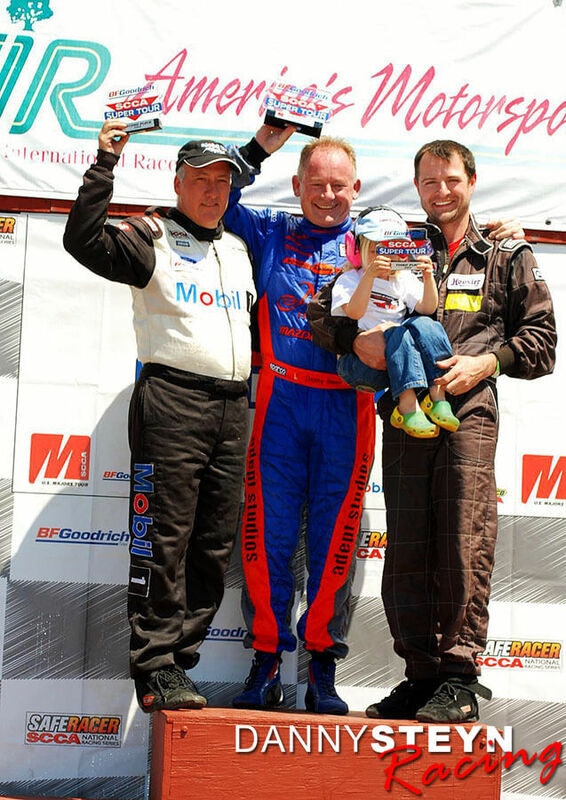 Steyn started closing in on the leaders as they started jostling for the lead, and as they entered the last lap Steyn was back in a distant 4th place, but somehow regained the lead as they exited Turn 5. Steyn held the lead through Turn8 and the carousel, but back marker skunked Steyn?s run through the kink, allowing Berry and Burdzy to come alongside ad they charged towards Canada Corner (turn 12). Unfortunately for Steyn, neither Burdzy nor Berry were able to control their cars and both spun out, taking Steyn out with them. Justin Elder got by for the win ahead of Stearns and Chris Haldeman. Both Berry and Burdzy were able to restart but Steyn was stuck in the sand trap and unable to continue. 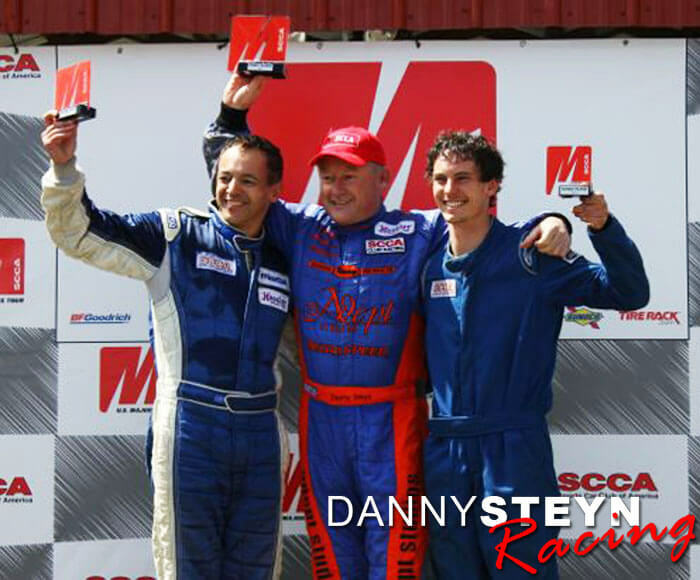 In Race 2 Steyn was able to contend for the lead throughout the race, and managed to end up 2nd. 2013 June Sprints Spec Miata poidum Race 2. 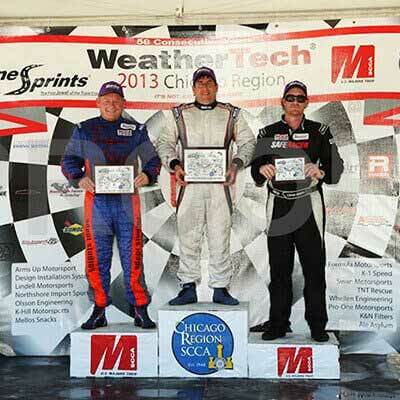 Eric Stearns, winner, Danny Steyn 2nd and Craig Berry 3rd.